Chris Martin: "I wrote Viva La Vida"
Coldplay's Chris Martin has insisted again that any similarities between the band's Grammy-nominated song Viva La Vida and Joe Satriani's If I Could Fly are entirely coincidental. As MusicRadar previously reported, American guitarist Satriani is suing Coldplay for plagiarism. Papers were filed in a Los Angeles court on 4 December. MusicRadar has since spoken exclusively to Satriani, who says he is "really hurt" by what he alleges to be Coldplay's plagiarism. Coldplay's Chris Martin has now spoken to NME Radio about the case, saying his band have been left feeling shocked by Satriani's claims. Martin said: "When these things happen it's a coincidence and we're as surprised by it as anybody else." Martin then explained that he hadn't stolen the song and could remember precisely the moment he wrote it. "Oh, I know exactly where the song [Viva La Vida] came from. It came from in the middle of the night, on a piano. I just get embarrassed about having to talk about these things." He also admitted feeling hurt by Joe Satriani's allegations, saying: "I do feel a bit upset about it because I wrote the song. But, you know, these things happen. Whatever will be will be." 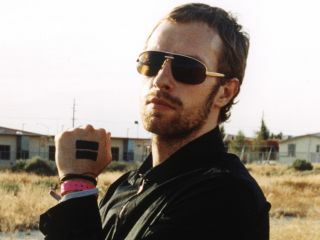 Martin admitted to the NME that Coldplay hadn't "had the best of days" due to Satriani's plagiarism claim, but made a conciliatory gesture by calling Satriani an "amazing" musician. Satriani's legal team are seeking a trial by jury in the US to settle the matter.